Hey everyone. It's been a busy week for me, with the Cosmo blog awards on Tuesday, and my trip to Fosse Park in Leicester yesterday, I'll be posting about both in the next couple of days, but it's been over a week since I posted my own nails on here, so I think it's about time I show you some nail art! 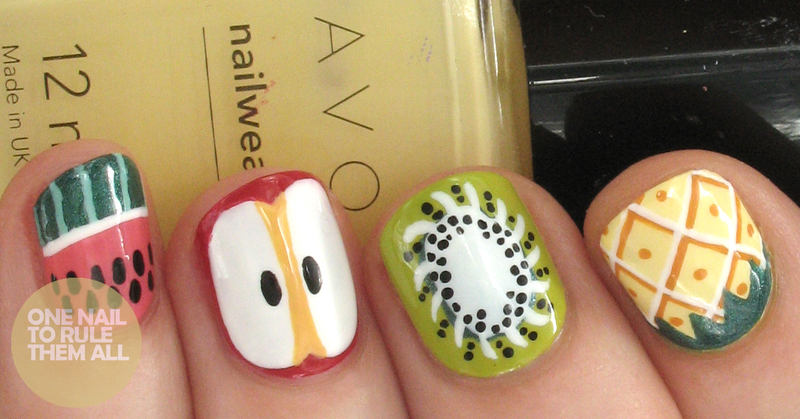 I created this fruit nail art for Avon a couple of weeks ago, and if I'm honest I was expecting it to turn out to be a bit of a failure, especially the kiwis. Last time I attempted kiwis a few years ago they were just a big mushy mess, so I'm glad to see my skills have improved at least a bit since then! So adorable! I love the final effect. Love these, the 3d effect on the pineapple is my favorite. Wow! I love all of them. Just perfect! 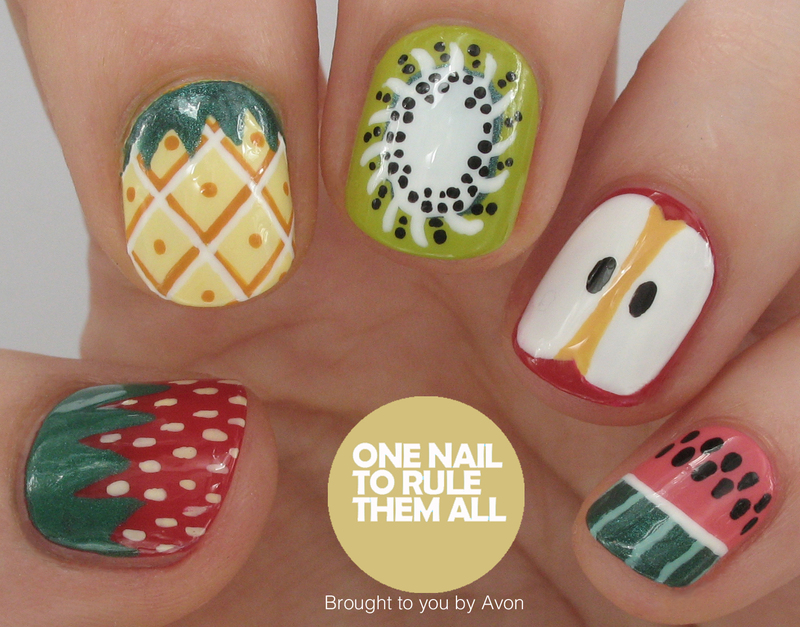 i love fruit nails, these are adorable! Do you have a video? 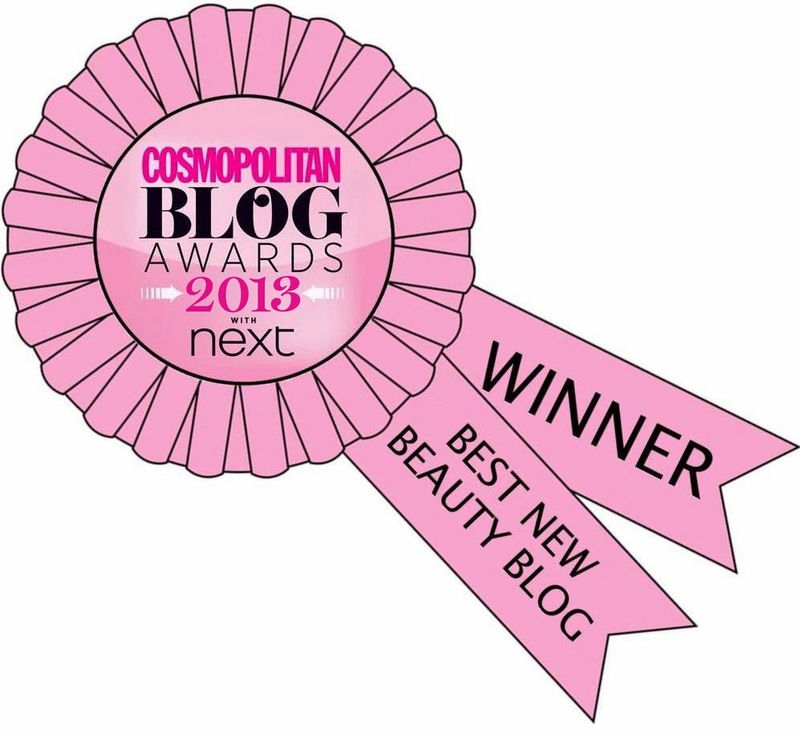 Cosmopolitan Blog Awards 2014 - Pictures + nails!